The Gelfand STEM Center offers school-based and summer programs for teachers and their students. As with all our programs, we invest time, energy, and resources into a small number of intensive efforts designed for deep learning. Based on the premise we are all life-long learners, both teachers and students are put in the role of learner in Anatomy Camp and Learning Streams International. 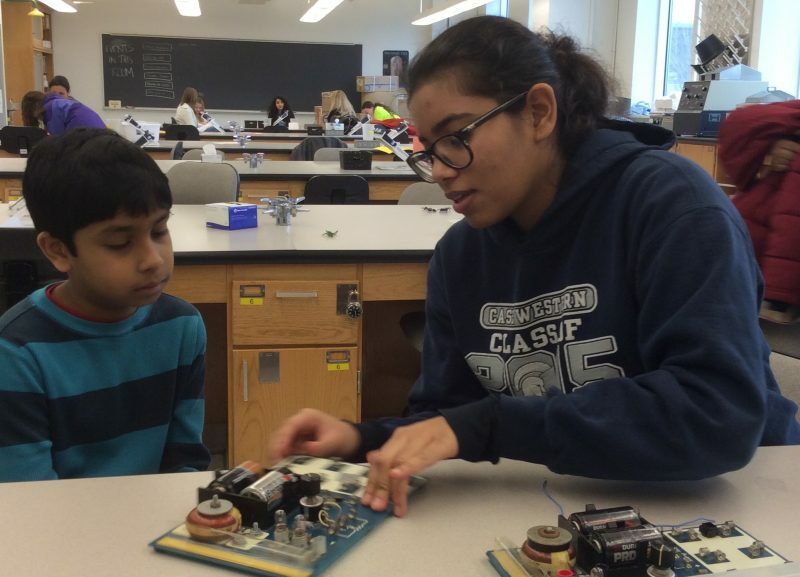 The Gelfand Science, Engineering, and Maker Fair program is designed to broaden participation in independent learning opportunities among underrepresented students and to raise the quality of those learning experiences. The Gelfand STEM Center acknowledges that all of the programs described here require significant commitments by teachers, students, and Case Western Reserve University faculty, staff, and students. However, it has been our experience that with commitment comes reward in the form of transformational learning. Please use the menu to the left to learn more about our programs for teachers and their students.